DIY Space for London has now raised £13,000 but doesn’t have a building. I made these posters to help recruit people to find something suitable. For more information, and the criteria needed for the space, go here. 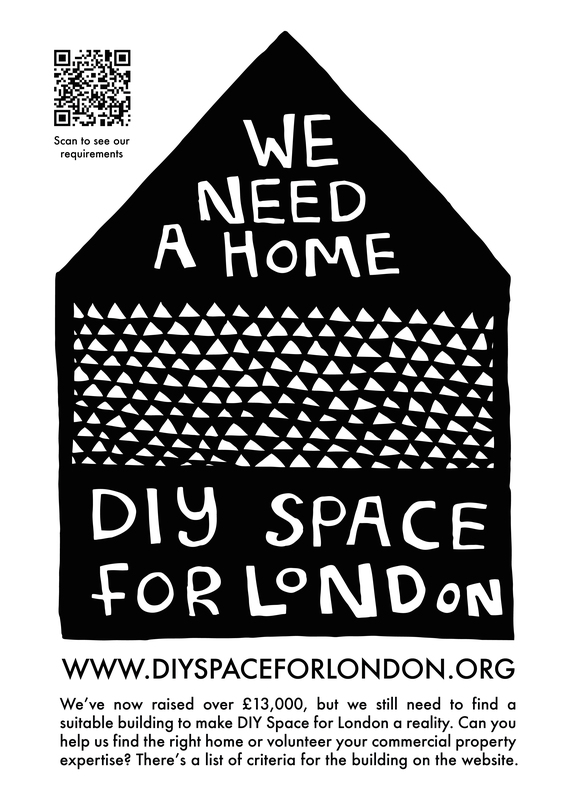 If you want to help out by printing some posters and putting them somewhere useful in London, then the files are below. The poster is available in red, orange, green and black, and the page size is A3 (but of course can be scaled down to A4 and is still readable and clear). Just right click and save them once you’ve opened them.